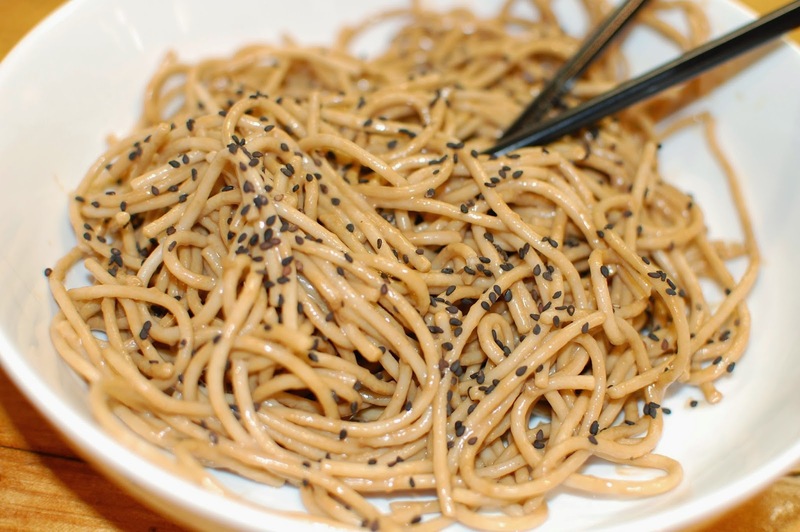 Soba Noodles Salad with Ginger Peanut Dressing | We Like to Cook! We are always looking for alternatives to the same-old, same-old pasta salad especially as the weather starts to warm up and we fire up the grill for cookouts and other outdoor gatherings. We first had this salad years ago from the deli counter at the DeKalb Farmer’s Market. We brought it back because it is relatively healthy compared to many other pasta salad recipes. The whole wheat pasta is easier to digest, the dressing is low fat reasonably low in fat and the peanut butter provides a protein punch. This salad is delicious warm or cold and is actually better when made in advance. It holds up well at a picnic because the ingredients are not quick to spoil as afternoon temperatures climb. Be the hit of your next potluck with this tasty, unique salad. 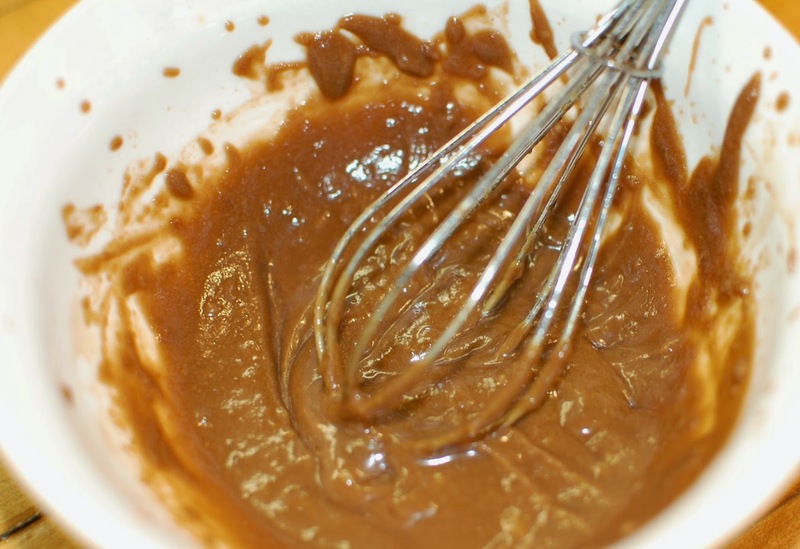 Mix soy sauce, mirin (which is seasoned rice wine vinegar), peanut butter, honey, ginger and garlic in a small mixing bowl and whisk together until smooth and creamy. Toss the dressing with cooked soba noodles (or you can substitute whole wheat spaghetti which is what we have done here) pasta that has been allowed to cool. We sometimes use pasta leftover from another meal. Make sure that the pasta is well coated with dressing but not swimming in it. Place the coated pasta in the refrigerator until ready to serve. Before serving, top the salad with toasted sesame seeds and chopped peanuts. This salad is especially tasty when garnished with freshly chopped cilantro.